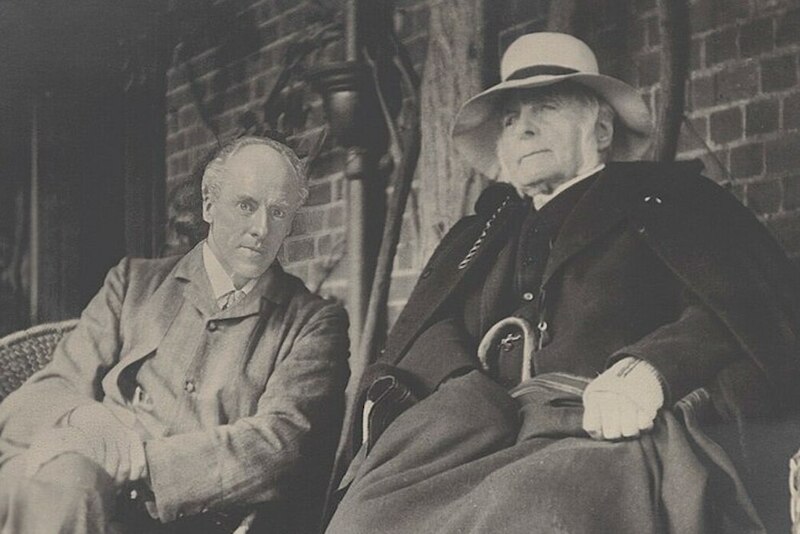 Eugenic pioneers Karl Pearson (left) and Sir Francis Galton (right) on Galston's porch around 1909. Courtesy of the National Portrait Gallery, London/Wikimedia Commons. My doubts, as it happened, had some validity. The name Central Metric Office proved to be a red herring, since the office’s purposes were narrow. Scotland Yard had something very specific in mind: a system of criminal identification, imported from France, relying on card files of prisoners that were sorted according to an array of bodily measurements. The office in question, though, offered evidence that police devotion to data was quite real, and the office was linked to an impressive network of measurement activities. Probing the episode of the Central Metric Office opened up a new perspective on the history of genetic knowledge, and even on its human meaning. Most textbook accounts have genetics emerging quite suddenly in 1900. Historians have long treated this moment as pivotal. The year 1900 is when Gregor Mendel’s decades-old hybridization experiments on peas suddenly became famous. Almost immediately, his work was celebrated as the foundation for a science of biological inheritance. At almost the same time, in 1899, measurements such as those collected by the Central Metric Office drew the attention of anthropologists. A year later they appeared in the first issue of a pioneering statistical journal, Biometrika, with a triumvirate of editors that included eugenic pioneers Francis Galton and Karl Pearson. Their movement to investigate how heredity shaped abilities and “defects” was just then getting off the ground, and they worked to support it with vast repositories of data from schools, universities, prisons, hospitals, and insane asylums. The Mendelian and biometric strains of eugenics thus began to flourish almost simultaneously. However, modern scholarship, taking a more cultural approach, is uncovering a much richer and longer history for the investigation of human heredity. What brought about this supposed crisis, paradoxically, was the expansion of schooling. Beginning about 1870, as governments made elementary education universal and even mandatory in much of Europe and North America, they created a category of child known as “feebleminded.” Those who fell behind in school were given this label. They were sometimes sent to special schools, where they were subject to medical and psychological examination. Followers of the Italian criminologist Cesare Lombroso claimed that such children were biologically and morally backward: in short, born criminals. Others denied this, arguing that the defective children were not specifically criminal, but simple and gullible, hence vulnerable to bad influences. The role of heredity in feeblemindedness became a hot topic in the late 19th century, and schools for such children turned into sites for hereditary investigation. It was a huge stimulus to the nascent eugenics movement. It was, however, the supposed link of criminality to feeblemindedness that sparked systematic data collection on criminal heredity. Felons, arriving in jails or prisons as adults and attended by police officers with no medical training, were unlikely to provide information on the mental health of their families. The opposite was true for schoolchildren under the watch of teachers, doctors, and school officials. The role of heredity in feeblemindedness became a hot topic in the late 19th century, and schools for such children turned into sites for hereditary investigation. It was a huge stimulus to the nascent eugenics movement, which in many respects took off long before 1900, though it was not known as such. Breeding results on peas and poultry provided a basis for genetic explanations, but did not create these hereditary concerns. Rather, medical-social anxieties contributed to the excitement about breeding and heredity that made biometric as well as Mendelian methods seem thrilling and even fateful. From about 1880, special schools were the most important sources of data on human heredity and of proto-eugenic anxieties. To get the full picture, however, we need to look even further back to earlier sources for hereditary and eugenic study. Record keeping on inheritance of feeblemindedness was shaped by an enterprise whose first beginnings can be traced back at least to 1789. In January of that year, King George III’s symptoms of madness became alarming enough to precipitate a constitutional crisis in England. Was the king likely to recover, or would it be necessary to appoint his son as regent? Dr. William Black, a veteran of studies of smallpox inoculation, knew how to proceed with such questions. He found his way to private records on the insane (there were no good public ones) from the royal asylum of Bethlem. Within months, Black published tables of cure rates in relation to several variables, including one on causes of insanity. “Family and hereditary” appeared here as perhaps the most important cause of all. Black’s statistics were exceptional, but a vast expansion of insane asylums in the early 19th century stimulated new routines of recordkeeping. Causes of insanity were of particular interest. Lay as well as medical witnesses endorsed the key role of hereditary causation right from the start. Although the new public asylums at first reported abundant cures, patient numbers increased with hyper-Malthusian fury. Disappointed by their failure or inability to cure their patients, the doctors (known as “alienists”) focused more and more on the presumed causal role of heredity. If this alarming epidemic could not be checked by medicine, the key might be to persuade young men and women tainted by bad heredity to refrain from marriage. 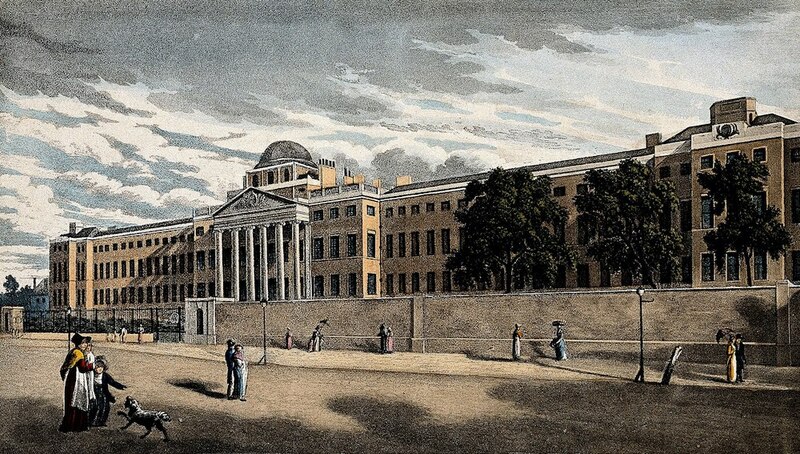 When King George III’s madness became clear, Dr. William Black searched the records of the royal asylum, Bethlem Hospital, to understand which patients had recovered. Courtesy of the Wellcome Trust/Wikimedia Commons. This project, eugenic in all but name, was anchored in data collection on patients and their families. A Norwegian alienist, for example, compiled the first family pedigrees of insanity in 1859, and then labored to track the migration of these hereditary factors from generation to generation. Two German doctors compiled data to calculate the increased probability of madness when one or both parents had been diagnosed insane. When statisticians and geneticists turned their attention to questions of human heredity around 1900, they learned immediately that psychiatrists and school psychologists already possessed not just unmatchable data on the transmission of mental illness and mental weakness, but sophisticated tools to compile and analyze the numbers. All this data work led to modest scientific successes punctuated by embarrassments, as claims for the discovery of a single hereditary factor for mental illness soon appeared scandalous. Data files also facilitated the injustice, as it is now recognized, of forced sterilization—which was legal for a time in much of the United States and abroad—as well as mass killings of asylum patients in Nazi Germany. Partly in reaction to these horrors, postwar human and medical geneticists tried to model their science on fruit fly genetics. But doctors, psychologists, and geneticists could not put aside this old faith in genetic causes of schizophrenia, mental disability, even criminality. Geneticists in the 1970s gathered data from prisons in the expectation that much violent crime might be explained by the presence of an extra Y chromosome, and the campaign or the Human Genome Project was included promises to identify the genes for schizophrenia. The science of human genetics has deep roots in eugenic doctrines and projects that go back more than two centuries. The use of numbers to support ideas arising from fear or bigotry is not limited to benighted days gone by. Theodore M. Porter is a professor of history at UCLA and the author of Genetics in the Madhouse: The Unknown History of Human Heredity.